I hope you had a great week, whether that was teaching, prepping your classroom, or enjoying your last weeks of summer vacation! I am linking up with Aileen from Mrs. 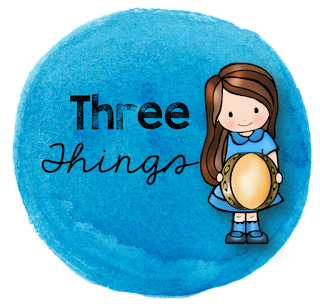 Miracle's Music Room in this "3 Things" post to tell you about 3 things that were magical in my music room this week. Kindergartners are SO eager to get to play on instruments. I've sequenced my easier classroom instruments and paired them with a simple folk song that is easy for them to sing and play along with at the same time. When I model this for them, I play to the steady beat, but I don't label the steady beat yet. This gives me a really quick look at who can play to the steady beat at the beginning of the year (often not too many) and who is going to need lots of preparation activities and help throughout the year. This week, my kindergartners got to meet my frog raps family. 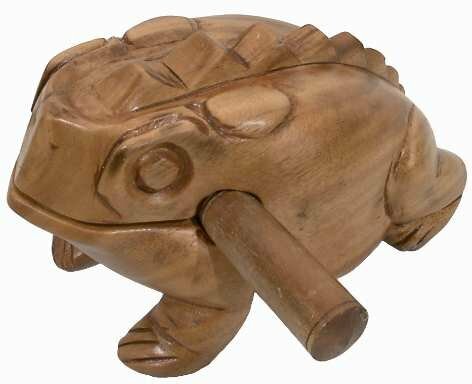 I'll have to get a picture of my set next week instead of this stock photo... but I have three different sizes, so we call them the daddy frog, the mommy frog, and the baby frog. I play the first one, and before playing the next one, I ask them to predict if it will sound the same as the first. I have noticed when I word it like "Do you think this one will sound just the same?" I get more "yeses" than when I word it like "Do you think the mommy frog will have the same voice as the daddy frog?" Hellllllooooo tone color! When asked it the second way they say "No, the mommy will have a different voice". 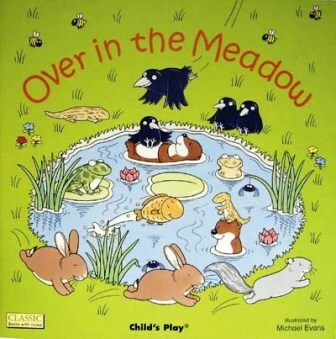 In the same lesson, I sing the book "Over in the Meadow" which has such a lovely melody, every year the kids are just totally mesmerized by it. I was given a big book version that I have used since my first year teaching, but there are many versions of the book out there. 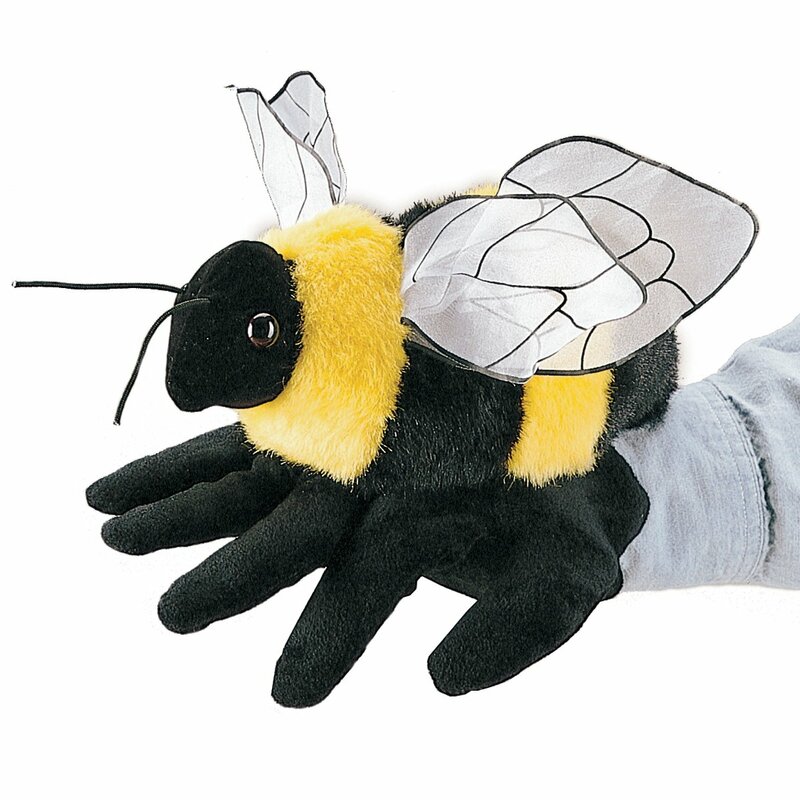 My kiddos love "Busy Buzzy" our bumblebee hand puppet. He made a return in first grade music this week, and there is just something magical about puppets for K-1 especially. We used him to play "Bee Bee Bumblebee". To play the game, students sit in a circle, holding one hand into the middle of the circle as a flower for the bee to land on. Teacher is inside of the circle and taps on their hand "flowers" to the beat. If it lands on their hand on the word "out", they leave the circle and become a worker bee, keeping the steady beat on rhythm sticks. We practiced tracking beat icons with this song on the board after the game for some steady beat review. 3) Introducing an octavo that my 5th graders can't get enough of. Our "theme" for our 5th grade program is "Nighttime Melodies". I chose this theme after I came across this 2 part piece, Usiku Mwema by Christian "Ceej" Oliver. When introducing a new piece, if a recording is available, I let them listen to it without looking at the sheet music before we dive in and isolate the parts we can sight read. My fifth graders are so excited about this piece they were asking where they could find it on YouTube. I showed them the Part by Part practice tracks available online (which I love about Brilee!) and many were pumped to go home and practice. WHAT?!?! Yes. My fifth graders said they were going to practice at home. That is pretty magical, friends! What were some of the magical moments from your week? Such great ideas, Lindsay! Thanks for linking up! And I was going to sit down and pick out my choir music this week, so this post comes at a great time. That piece sounds gorgeous! Thanks!! Thanks, Aileen! Good luck picking your choir music! Because of scheduling and busing, I don't have a choir, so I like to include a few choral pieces on our 5th grade program and we just learn them during class. I think exposing them to it before middle school is a good thing, I wish I had a dedicated choir though as a class or before/after school! The bumble bee game is lovely. I like how the person who is "out" goes over to play backup beat with rhythm sticks. What a fun bunch of activities! I am always looking for way to play instruments with my Kindergartens - so I love that idea! I would be interested in hearing more about the other songs you are pairing with instruments too.